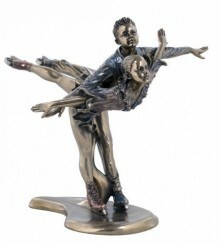 This figurine has been individually made by an experienced and skilled craftsman. It meets the high quality standards of Parastone studios in the Netherlands. Made from solid cold cast resin bronze.